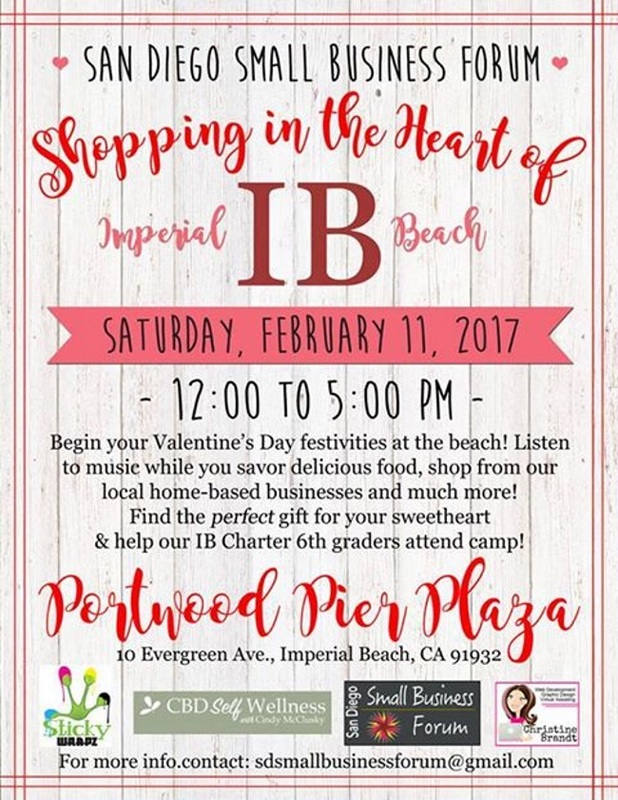 The 2nd Annual "Shopping the Heart of IB" is Taking Place on Saturday February 11 at the Imperial Beach Pier Plaza from Noon to 5pm. Start your Valentines celebration early, come and join us! Shop from smallbusinesses, savor delicious food and enjoy some great music, a day full of fun right by the beach!